In the current climate of unrest, it’s common for people to question the merits of traveling. Family and friends point to the latest terror attack, stories of hostility towards passengers by airlines, and a general sense of anxiety over the whole state of global affairs and ask us why we elect to leave the relatively safety of our homes for the unknown of the road. Regardless of whether or not these concerns are overblown, it’s a good question. After all, it’s an undeniable truth that bad things can and do happen in this world. All you have to do is look at the front page of your local newspaper or read your Facebook timeline to see the evidence. Why then would any ever leave home? I’ll repeat here what I personally say when asked this question: I travel not in spite of these concerns, but because of them. 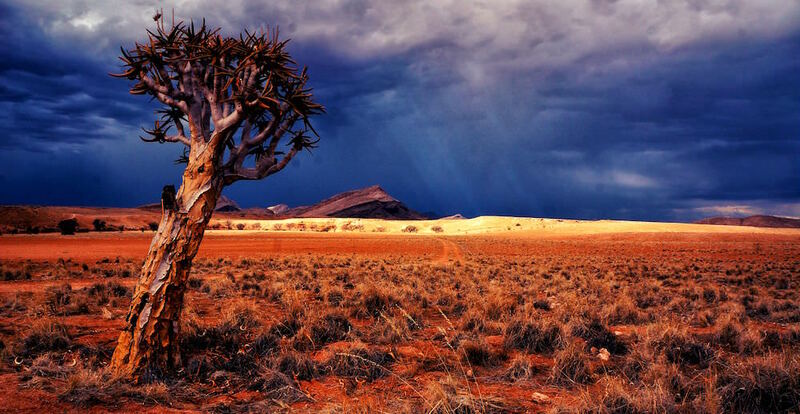 The other-worldly Sossusvlei in Namibia. Travel doesn’t have to be a leisure activity, at least not in the sense that most people define leisure. Rather, it is an opportunity to overcome obstacles, become more resilient, and better understand yourself and the world within which you live. Travel is a low-stakes, high-fun chance to develop the skills you need for success in everyday life. This is not to say that the threat of mass violence is necessary in order to make travel worthwhile. Far from it. The world would clearly be a better place—both for traveling and for living—if we were to eliminate humanity’s violent tendencies. Nor should travel be a joyless experience, with trophies given out to those who suffer the most pain in the name of self-improvement. Indeed, you can actually have fun while learning and growing, and a trip without pleasure is a trip not worth taking. However, travel would become much less instructive if all the challenges that come with it were engineered out. Just as resistance is necessary if you want to become strong in body through weight training, so too are difficulties on the road critical if you want to become strong in mind through travel. Finding a moment of serenity near Žrnovnica, Croatia. Fortunately, there are a number of less-dangerous—and more-enjoyable—ways that travel challenges us, and I doubt they’ll be eliminated in the near future. For one, even in today’s hyper-globalized world, there are distinct cultural differences between peoples and places that every traveler has to face. Whether due to custom, language, or weather, we are forced to adapt our behavior if we want to thrive (or, in some extreme cases, to survive). This process can be as frustrating as it is exciting, but we inevitably become more flexible and resilient as a result. Likewise, traveling almost always means exposing oneself to—and witnessing the real-life implementation of—new ideas. These can be as trivial as what to put atop your pizza or as consequential as the structure of government. Political murals in Havana, Cuba. For the introspective traveler, this invariably leads to an examination of one’s own beliefs, a process which is often profoundly challenging, especially when it results in the abandonment of once-sacred ideas. Yet, we return home with a stronger sense of purpose based on a clearer understanding of what we believe and why we believe it. Similarly, travel often places you in situations that you otherwise would avoid due to fear, ignorance, or habit. I immediately think of my once debilitating fear of flying, which I’ve overcome in large part by trying new air-travel related activities like riding in a hot air balloon or a helicopter. 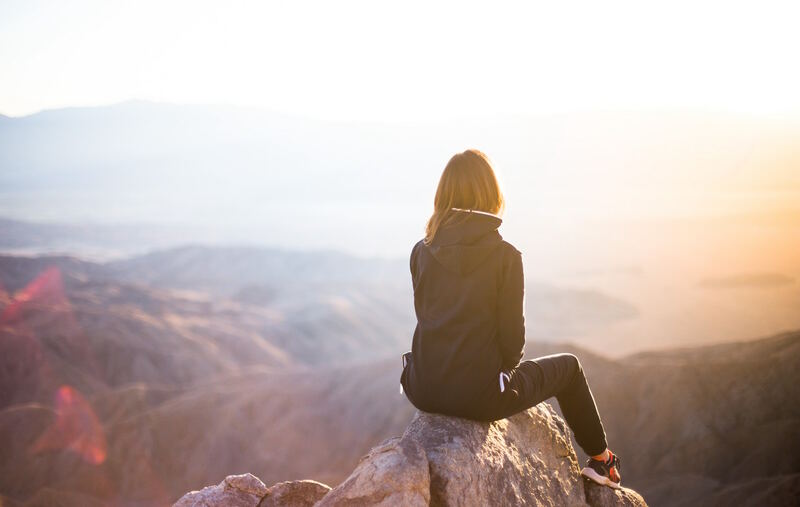 By confronting such issues in the relatively safe and fun settings that travel provides, you learn to face fears in exchange for life on your own terms. Few things can top facing your fears. Iceland. But travel is not just a mental journey, it is also a physical one, and depending on the destination, it can be quite challenging. A trip to the Himalayas—let alone a climb through them—requires a good amount of planning and effort on the part of the traveler in order to survive the high-altitude climate. Even a leisurely weekend vacation often involves a change in time zones and more steps than the 10,000 we are lucky to get at home. These are just a few of the ways in which travel challenges us and inspires self-improvement. Undoubtedly new opportunities for personal growth will arise with future social, political, and technological changes. But the basic philosophical argument will remain; that one should embrace challenge and discomfort as an opportunity to grow. Reflecting in Joshua Tree National Park, California. The question of why we travel—despite the dangers and difficulties—is an important one. It makes us think about our relationship with fear. It makes us think about our relationship with the rest of the world. It makes us think about how we want to live our lives. As Proust said, we travel not to find new lands, but to find new eyes with which to see everything. And while these eyes are accessible to us at all moments—even when we sit silently at home—travelers know that it is easiest to see the world anew when you are out exploring it. 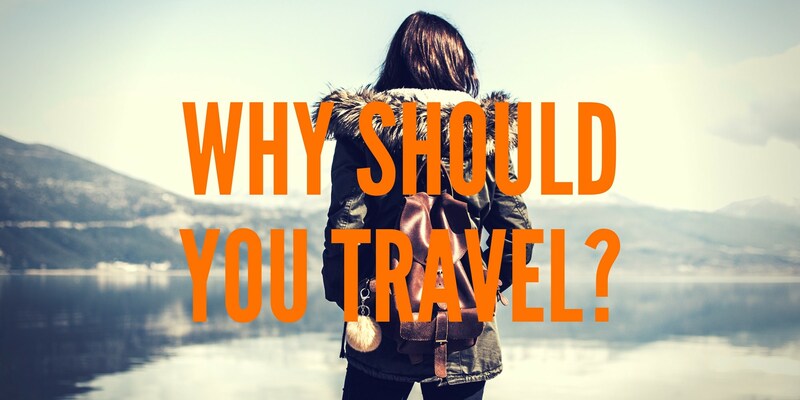 So next time someone asks you why you travel, perhaps you should reply with a more important question: why wouldn't you?